Developed early in the 12th Century, the Great Helm became the mainstay of the medieval fighting man and lasted for about 300 years. 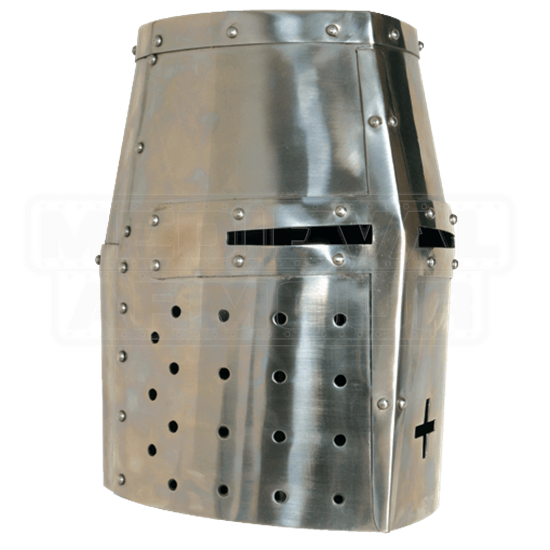 Worn over a mail coif and padding, this helm has menacing narrow eyeslits for maximum protection. 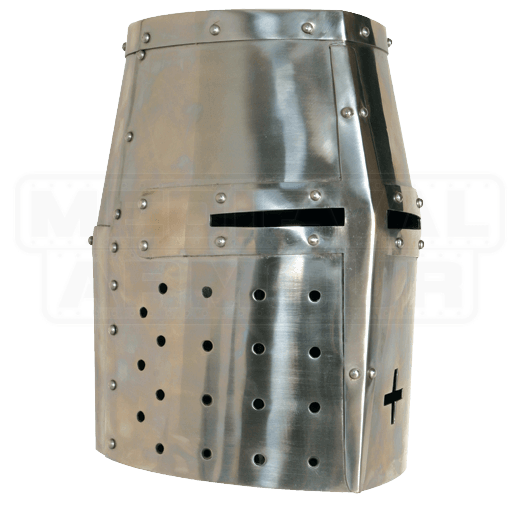 This helmet is crafted from 18 gauge steel and a classic style of medieval helmets, one of the most popular versions depicted and worn. Up to a 26 Circumference. The helmet looks awesome and goes well with my Templar Outfit. My only issue with this helmet is that it lacks a chinstrap so it makes the helmet easier to lift up causing eye slits to misalign with my eyes. But overall, a nice helmet!